Roland’s Transistor Bass or TB-303 hit the market place from 1982 to 1984 and its safe to say what a huge influence it had on music. From Acid house through to techno, its unmistakable sound features on countless classic tracks. 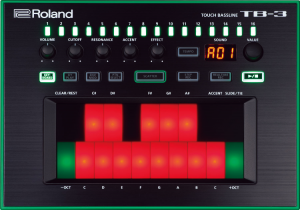 Nowadays, an original unit will set you back thousands of dollars, so when Roland announced the TB-03 Touch Bassline a lot of people had the opportunity to get their hands on that TB-303 sound. If you’re one of those people, you’ll be pleased we’ve pulled together some tips to help you get more from this fantastic device. The 1.10 update saw some new features including the facility for Read time recording via external MIDI. Be sure to keep yours up to date. 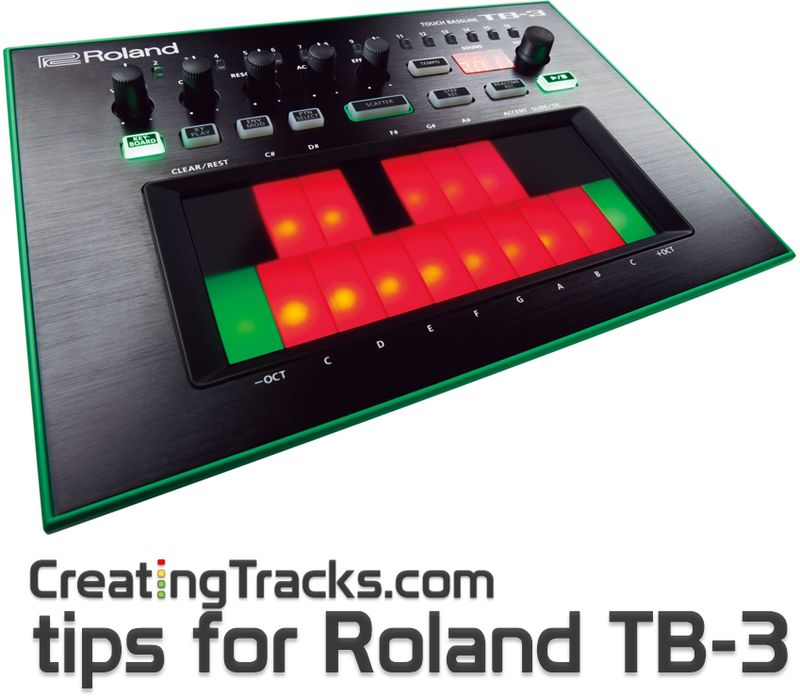 If you’re using the Step Record – use the Value dial to flick between steps then hit CLEAR/REST to clear that note. Finally to quickly delete an entire pattern, simply switch to that pattern, hold down CLEAR/REST – wait for the display to show “CLR” then hit Start/Stop.